This wide view of the Martin (now part of the Lockheed-Martin conglomerate) model shop brings back memories of when I worked as an electronics technician at the Westinghouse Oceanic Division in Annapolis, Maryland. We had a bunch of guy in lab jackets sitting around at benches with out machinist's tool boxes open. Most people had the Gerstner, Craftsman, or Union brand (mine was Craftsman). Serious tool accumulators had the large model with the big drawer in the middle for hold a machinist's reference manual (my shop did electronics assembly and prototype building, so we kept other things in ours). 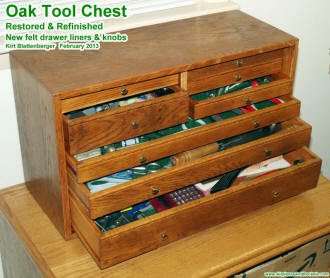 As with so many other things, I eventually sold my toolbox, but, fortunately, there is almost nothing you cannot buy on eBay, so a couple years ago I bought one like what I had before. You can see it by clicking on the above thumbnail if you are interested. I'm not sure how much model making is done anymore since computer-aided design (CAD) is so dominant in design organizations nowadays. General view of the Wood and Plastics area of Martin Orlando's Model Engineering shop with finished miniatures of several missiles. All photos made at Florida plant. 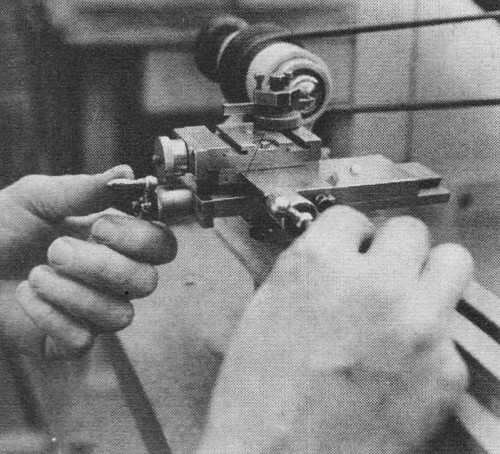 A jeweler's lathe is employed to make miniature turnings such as knobs and controls for a scale copy of the "RACEP" console. 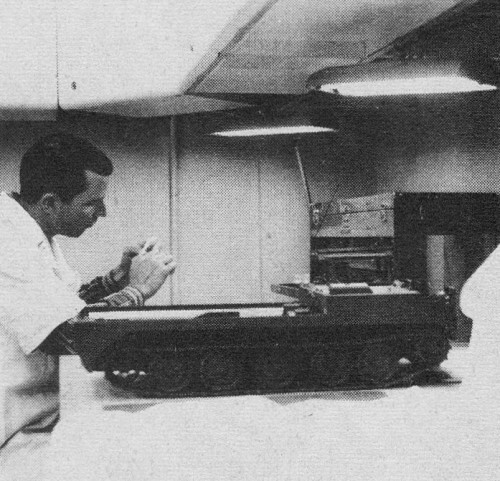 Laboratory technician works on a brass part for an 1/8-size Pershing missile tracked vehicle. 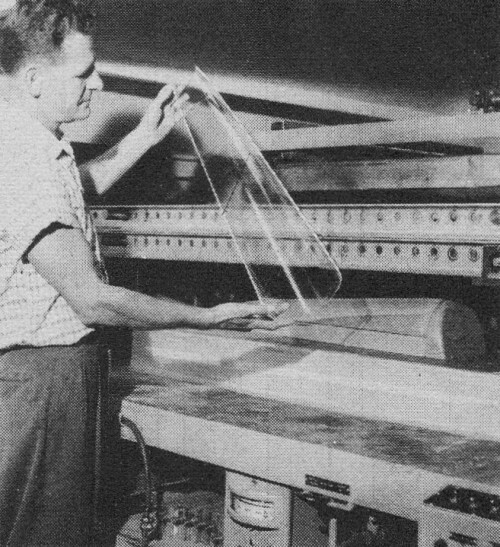 A vacuum-formed section of a scale Pershing nose. Master is of maple; Plexiglas is clear 1/8" thick. Left: These pix show how a detailed photograph of an electronic chassis rack is used to simulate the set-up in a scale model. Photo is cut to size, then bonded to plexiglass panel; technique saves many hours of work - certainly is authentic! Behind every missile system in the nation's defense arsenal are extensive periods of development. And, strongly involved in the development phases are highly professional model shops which build everything from large, full-scale prototype missiles to tiny replicas of complex electronic circuitry. 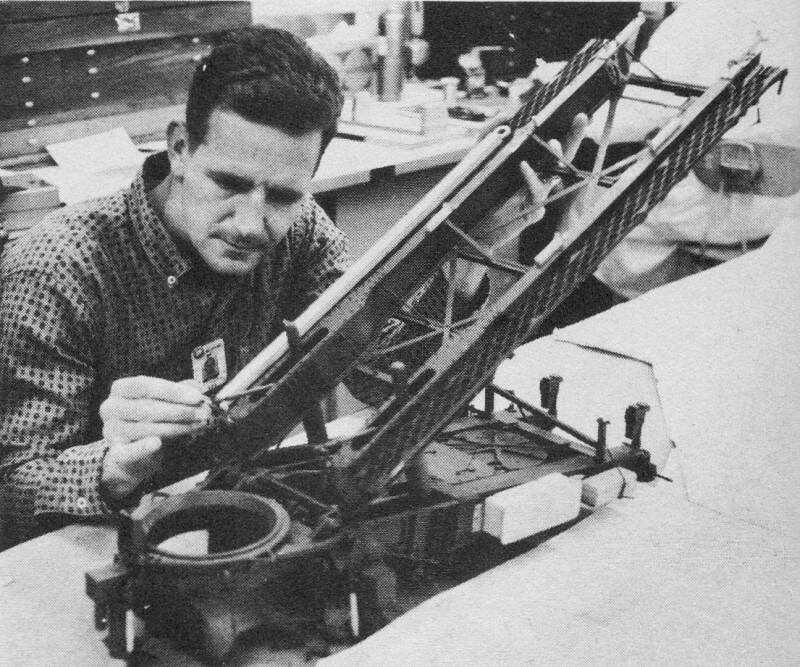 One such model shop is in busy operation at the Martin Company's Orlando, Fla., Division. This Martin Division builds the Pershing and Lacrosse surface-to-surface missiles, the Bullpup air-to-surface missile, and Missile Master and "Birdie" electronic air defense systems and the "Racep" electronic communications system. 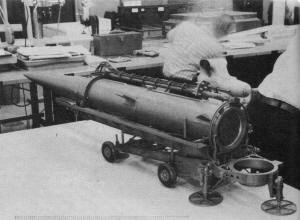 Also, Martin Orlando is working on the "Tow" anti-tank missile and numerous advanced space and weapons programs. 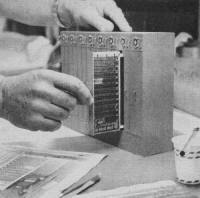 Thus, the press of work is consistently heavy for the 96-man Model Engineering Section headed by E. J. Guard. 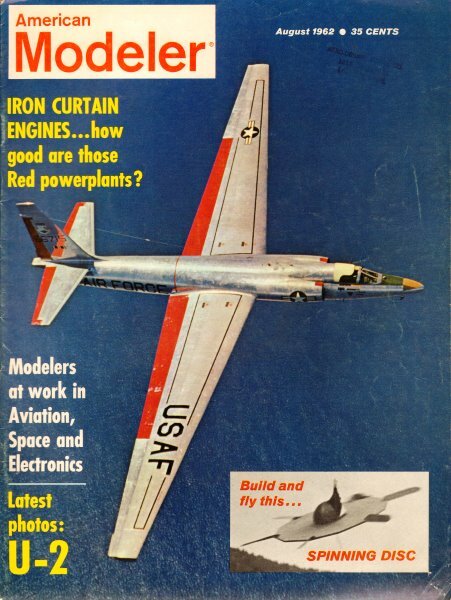 Current projects, for example, include constructing a full-size ground effects machine American Modeler which actually will be the test bed for Martin studies in this field and building a series of prototype missiles which will be launched for testing on a highly secret Martin project. Much of the work, however, is along the lines familiar to modelers the world over. Scale models, in varying degrees of complexity, are important parts of training programs as well as being valuable in working out engineering and operational system problems. Martin's modelers build exact, totally operable models of the company's missiles. They are perfect copies of systems launched from Cape Canaveral and elsewhere. 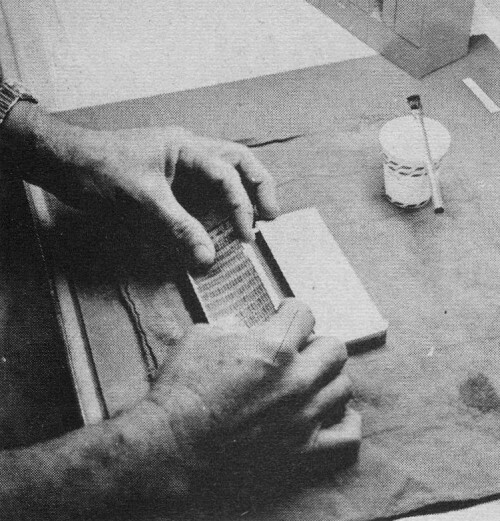 The accompanying photographs show products of those techniques and tools. Fully operable 1/8-size Pershing Transporter Erector Launcher and the real item are seen in photos above. Model is so finely detailed each operation of the big one can be duplicated; model is mostly brass with "britannia" metal castings.